Unless otherwise agreed upon, in most cases you will need to pay your previous attorney for the work they have done. In most cases this would not affect the settlement amount you receive should you win your case. Rather, the two attorneys will likely divide up their share based on the previously agreed upon contract fee. How Do I Know If I Should Switch? 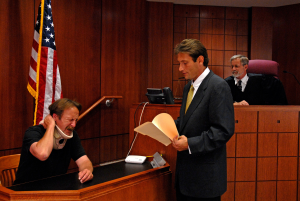 Your attorney has not been clear on the terms and the value of your lawsuit. Should you have a concern with your attorney, you should first bring up the issue with your attorney before seeking alternative counsel. If your current attorney does not address and fix the issue(s) then it may be time to find a different lawyer. In the event that you decide it is time to “fire” your current attorney all you need to do is inform the lawyer via a written decision. Once this correspondence has been conveyed it is important that you reach out to your previous attorney to ensure they have received the notification. Once this is complete you should also contact your insurance company to make sure your new attorney is authorized by the insurance company. Related Posts: How Emerging Technology Will Change Driving, How Much Time Do You Have To File An Injury Claim?